One of the famous US based network service provider, Verizon has announced the availability of Casio EXLIM at its stores. The folding camera phone has been designed to meet the US military’s 810F standards for dust, shock, temperature, water resistance, vibration and etc. The rotating display has been enhanced for rotating up to 180-degree. 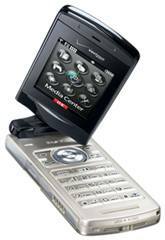 Along with a 5.1-megapixel AF camera with flash and 3x optical zoom functions, Casio EXLIM is also equipped with speakerphone and a flashlight. It also supports speech recognition, V CAST music with Rhapsody, V CAST video, chaperone, media center, visual voice mail and VZ navigator. Besides, it is Bluetooth enabled and supports up to 8GB of microSD card. Available in black and champagne, the Casio EXILIM is priced at $279.99 with a two-year service contract after $50 mail in rebate.